Everyone knows the importance of oral care for total oral health. However, there is more to oral care than brushing your teeth. Dental care at home also requires daily flossing. A toothbrush cannot clean between the teeth. Whether there are spaces between the teeth or teeth are close together, food particles and bacteria can accumulate. When this residue is not removed, it can lead to tooth decay and gum disease. Flossing will remove the residue your toothbrush does not reach. When flossing is done regularly and correctly, your teeth and gums will be clean. You will greatly reduce your risk of gum disease and tooth decay. All dental floss is not the same. There are many different varieties. Some of the most popular types of dental floss include unwaxed and waxed string floss, and floss picks. There are flavored dental flosses, too. If you do not know which floss to purchase, you can ask your dentist for advice. Your dentist can show you how to use floss properly. Although you should floss at least once per day, you may be advised to floss your teeth after each meal. When no residue remains between your teeth, it can improve your overall dental health. You can teach your children about flossing, too. When they learn this habit early in life, it can reduce their risk of needing expensive dental work. 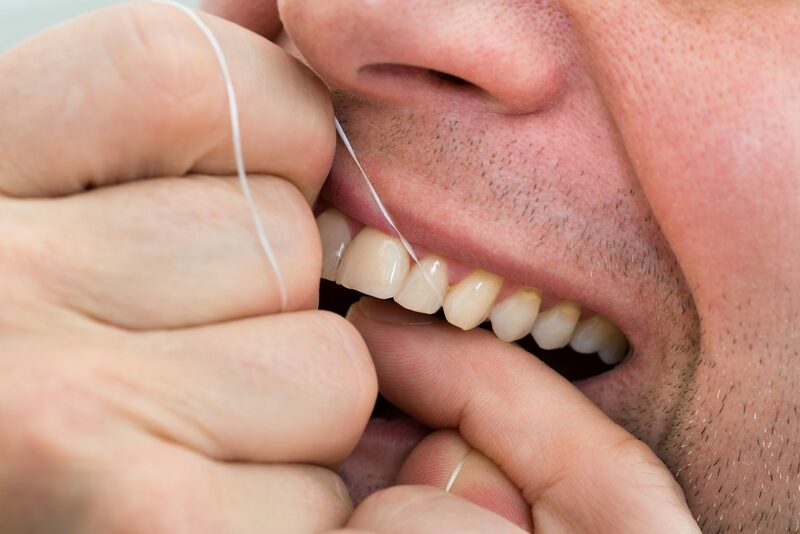 If you have not been flossing regularly, it may take time to become accustomed to the habit. While it may be uncomfortable at first, flossing should not be painful. If you experience undue pain during flossing, or if your gums start to bleed, make an appointment to discuss the problem with your dentist. Proper flossing only takes a few minutes. When you notice how clean and fresh your mouth feels after flossing, you will know it is worth the effort. Dental floss is not expensive, and there is a style for everyone. If you want the healthiest teeth and gums, make flossing part of your daily routine. It is a simple habit with many benefits.